Work-from-home online jobs are one of the hottest topics on the web these days. Given the fact that more than half of Americans are unhappy at work, the idea of sleeping in, setting your own schedule and working in your pajamas from the comfort of your own home sounds like a dream. Unfortunately, some people have tried to capitalize on the idea of online jobs by creating scams and tricking people into dead end online work. On the contrary, there are plenty of legitimate online jobs to go around and a number of people even earn a full-time income from working online. All online jobs are not created equal though. So how can you know which ones to pursue if you’re looking to make a good amount of money? 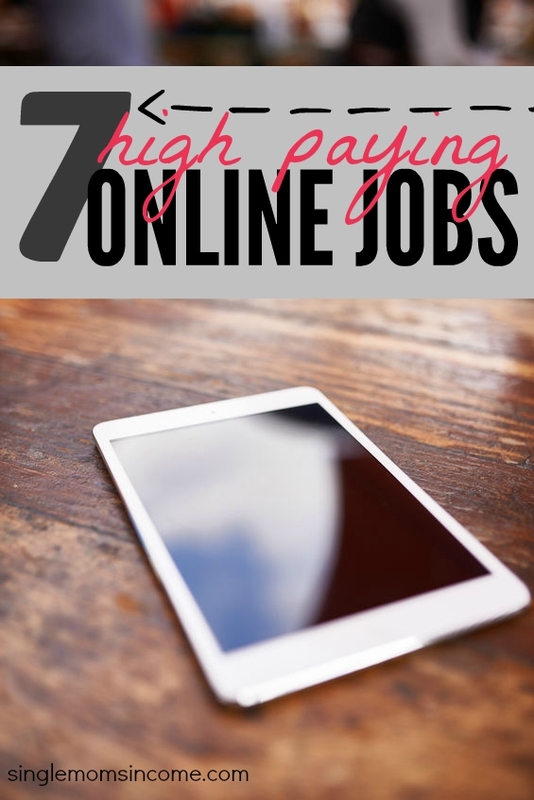 If you interested in quitting your day job to work-from-home or just looking to make a sustainable amount of income from online work, you should consider some of these high-paying online jobs. Virtual assistants are a growing need for businesses today. A virtual assistant does everything from managing websites and social media, to reading and responding to emails, bookkeeping, scheduling blog posts, booking flights, scheduling meetings, other administrative tasks and more. The broad range of responsibilities a VA can have keeps the job interesting and exciting. In order to become a VA, you’ll need basic computer knowledge and typing skills, organizational skills and the ability to catch on to new tasks and techniques quickly. Compensation ranges from $10.13 per hour on the low end to $30.62 per hour on the high end for more experienced candidates. Alexa’s note: I started out on the low end of the scale but now that I’ve got experience and the right clients I typically end up netting more than $30 per hour as a virtual assistant and blog manager. If you want to become a virtual assistant I highly recommend signing up for the free Virtual Assistant Success email course. You can sign up here. The web design industry is booming these days. Businesses and professionals are always looking to either update their current website or establish a web presence for the first time. Now that Google has changed their algorithm to favor only mobile-friendly website designs, more and more businesses have become eager to redesign their website to meet these standards. If you have knowledge of Photoshop and can create custom graphics, you could advertise your graphic design services online and work from the comfort of your own home. As a graphic designer, you can make anywhere from $29,738 – $58,798 per year or more if you scale up and increase your rates over time. Can you type fast? You may do well as a transcriptionist. A transcriptionist basically types out conversations, audio and video recordings, podcast episodes, interviews and other types of audio for people to read. As a transcriber, your job is to create clear sentences and paragraphs from the audio for people to read. In order to be successful, you must be able to absorb the audio in a timely manner and type quickly to create clear, organized and readable content. On average, transcriptionists make around $23 per hour. Freelance writing is a popular online job that allows you to work-from-home writing blog posts, journalistic articles and other digital content for a variety of clients. Almost every industry and niche needs freelance writers whether they require articles about travel, business, personal finance, fitness, health, parenting and so on. Some freelance writers charge by the hour but it’s best to charge a flat rate per post or assignment. 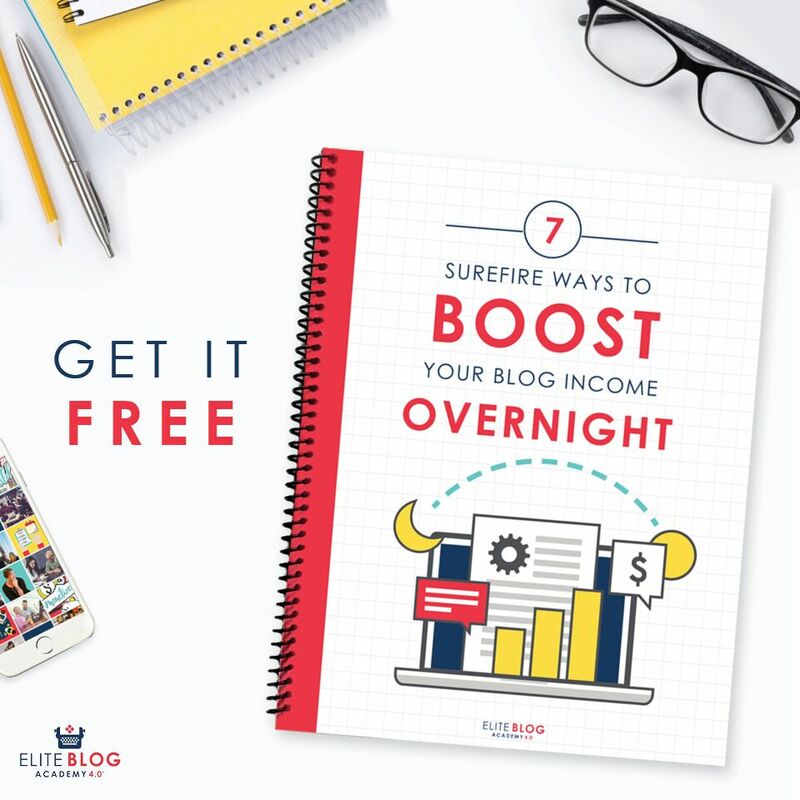 When you’re just starting out, you can expect to make anywhere between $10 to $25 per post but as you gain experience and network with other clients and businesses you can make much more. Most successful freelance writers I’ve come across make at least $50-100 per post/assignment and some even make more. Here’s everything you need to know about getting freelance writing jobs even if you’re starting from scratch! If you love marketing, social media and working with the press, you can try working from home as a PR specialist. You’ll need experience in communications, journalism or public relations and duties include drafting and pitching press releases, managing and improving social media profiles, coming up with a communications plan for clients, and securing and planning campaigns and events to promote the business and other related tasks. Public relations specialists are media experts and this could be a fun and fulfilling job for the right creative person. The best part is that thanks to video meeting programs like Skype and Google Hangout, all of the work and correspondence with the client can be done digitally making this a very profitable online job. Public Relations specialists can earn anywhere from $38,293 – $95,053 depending on experience and the clients you work with. Search engine optimization (SEO) is another career field that is in high demand these days thanks to so many businesses and individuals longing to reach an online audience. SEO is crucial for anyone looking to bring traffic to their website but the whole concept can be confusing and tedious to most people so they outsource SEO help. If you know the ins and outs of Google’s ranking system along with how to search for industry specific keywords, develop keyword-rich content for the web and create backlinks, you can definitely market these valuable skills. If you don’t know much about SEO, you can certainly boost you skill set and take the time out to learn these skills by reading guides, online materials and watching videos online. An SEO specialist can expect to make $29,481 – $60,504 per year. Working as a self-employed travel agent can provide you with the opportunity to earn great money while helping others plan their travel adventures. Travel agents take over the entire planning and preparation process for clients including finding and booking the best flights and accommodations, recommending excursions and arranging an itinerary, helping the client secure the proper amount of travel insurance and resolving any issues that occur when planning the trip. You won’t believe how many people want to travel but don’t know the first thing about booking a flight, weighing luggage or organizing an itinerary for a safe and stress-free trip. As a work-from-home travel agent, you may want to undergo some industry specific training and partner with a legitimate agency to increase your chances of landing more clients. Travel agents can make $25,218 – $51,292 per year. When searching for an online job that pays well, the best thing to do is to find out what interests you the most, then consider the pay. If you aren’t doing something that you are passionate about each day, you probably won’t be satisfied with the work whether you work in an office or at your kitchen table. 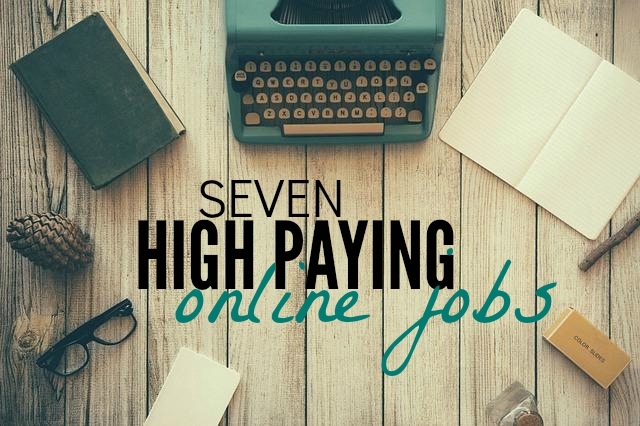 There are probably hundreds of other online jobs out there but the ones mentioned above will allow you to make a good amount of money for the time you spend. Do you do any work online? Which one of these online jobs would work best for you? Great list. I’ve always thought that being a travel agent would be fun! In the past I had tried doing direct sales, and didn’t do so well. Now it seems these direct sales companies, like Jamberry, are getting really popular through Facebook parties. This might be a good way to bridge the working from home gap for some people. My sister was a travel agent for some time and she really liked it. She even helped me book a cruise a few years back. I never heard of Jamberry, but I know that direct sales can be very profitable for the right person. I like this list! It is so important to show people that there are a lot of ways that you can approach making money-on your own terms. Thanks Michelle! That’s so true. This is a nice list. I’ve always been interested in transcribing but don’t know how to go about it since I haven’t taken any courses. I spent my college summers (and three weeks at Christmas) working for an engineering company. Part of my job was keeping meeting minutes (which meant typing and keeping up with fast talking angry men in business suits). I’m always worried though about something being a scam or some like medical transcription requires you to pay money to takes classes. Given your experience, it sounds like you’d be perfect for that type of job. But I understand how all the scams out there could make anyone hesitant to pursue that particular type of online job. This sounds like a great future topic to dissect though as I’m almost certain there are reputable opportunities out there. Hey there. I just signed up for a transcribing company. It’s called Transcribe Me! Check it out. I’m just finishing training and can’t wait to start. I like this list, thanks for sharing!!! Ditto Alexandra, I think that working as a travel agent would be a blast. Oh, and I had no idea that freelancers could earn so much per post. That’s wild and crazy! No wonder so many bloggers double up as freelancers. Yeah, some freelance writers can earn $100+ per post That type of work comes with experience though so you definitely need to work your way up. Yes that industry is booming right now. I work with a few programmers and I’ve even dabbled into doing a little coding myself but its’ very extensive. Sometimes I imagine how much the programmers I work with could make it they freelanced on the side because those skills are certainly in demand. Great article, alot of times these types of posts are irrelevant but yours was perfect. My husband is a graphic designer and programmer, where do you recommend looking for freelance work? Since you make a good living out of graphic design , what are you looking for in this page? I love my VA work as well! To be honest, few years ago I hadn’t even heard of it and now it is part of my every day life. The prices definitely depend also how many hours per week I have to work and based on experience. It is important to always keep learning as the online world is changing so fast as well! I am really interested in VA. I am just learning about this opportunity. Any suggestions or advice for someone trying to get started in the field? VA work is a great balance for me since I mainly just write. At first I was surprised as well by the amount VAs can make depending on experience and the various different tasks performed but their work is crucial to helping a business function properly. That’s not bad for a VA and grant writing does pay very well. It just seems like it would be a little tougher to get your foot in the door with that particular genre of writing.. It is an easy job and the profits are rather satisfying too. Easy job that pays well, sounds like an easy income source? Hi Barbara. Most work-from-home jobs involve online work and using your computer, but I’m guessing you won’t want to do much typing? Here is an article with some information on simple legitimate things you can do to earn some extra money. https://singlemomsincome.com/the-top-10-easiest-ways-to-make-money-online/ Hope this helps! Hi Anita, some companies do hire freelance writers but a lot of freelancers tend to find their own clients so they can be in control of who they work for. In order to find a company that will hire you for freelance work, it depends on what type of work you’d like to do but you can start by searching on indeed.com or craigslist.org to see who is hiring. As there are several scams over the cyberspace, it is very important if you can determine the right online jobs that is legitimate or is being provided by a reliable client. Careful research is all you need first before starting to work online. This is an excellent method on how you can earn money easily without too much effort and time needed. When you have this option, it can be your top method to earn an income fast. What about mobile and Web Developers? Those are at the top of the list too! According to Payscale, they can earn anywhere from $33k to $86k annually. Since self-employed web developers can set their own rates and choose who they work with, they have potential to earn even more. How would I go about becoming a VA? I have no prior VA experience, but I have been a secretary/assistant for many years in the work field. Seems like everything I have researched in trying to locate a VA job has been a dead end. This is quite helpful. As someone who’s in the process of becoming a teacher, it’s hard to find good jobs in the education field that’s good pay, esp when you’re not licensed yet. And I’m getting married this year so my schedule is tight. I can consider myself to be somewhat of a computer nerd, I’m no Timothy McGee but if I can figure out how to find these jobs I think it can help, condidering I’m unemployed. Thanks for posting this! This Content is really Amazing i was looking like that website.Its relly awesome.I also found this website really informative and exclusive. I just want to find the right online job out there that really pays. Don’t have money to put down. You don’t need money to put down. Does anyone have any leads on how to start working as a home based travel agent? Any companies hiring, etc? Something that doesn’t have a monetary cost associated? Great list. I am aspiring to become a freelance writer creatively. Can you please guide me as a beginner how to start? I wan t to work from home successfully in terms of finances. I take part in Swagbucks, online surveys and other online income. I created a WordPress Website. I have not published until I get enough samples and a resume to send to clients. Doing lot’s of research. My niche is poetry, family, music and entertainment. Thank you for your help.